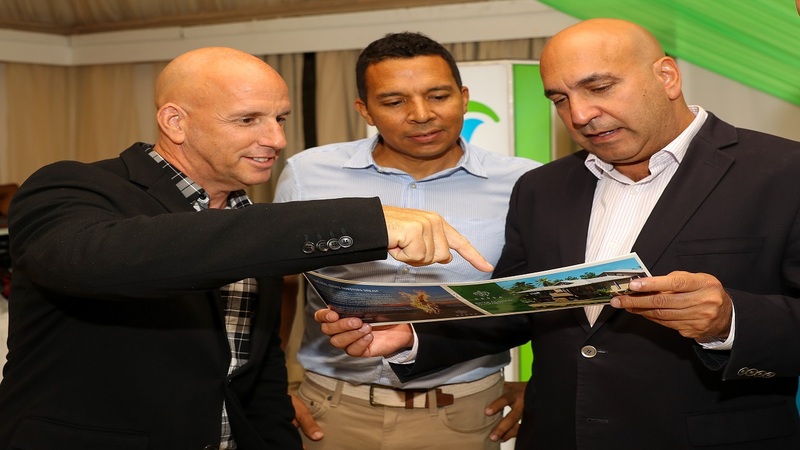 KLE CEO Gary Matalon (left), KLE Chairman David Shirley (centre) and Sagicor Group CEO Christopher Zacca (right) examine a brochure at the SPS hosted Sip and View event. 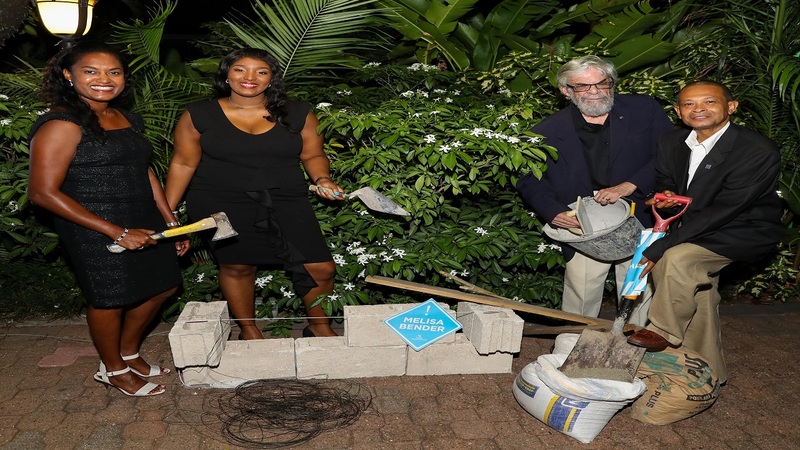 Sagicor Property Services (SPS) upped the ante by hosting one of its first ever open-house viewing cocktail event for some of its clients at the Terra Nova Hotel and Suite. The evening dubbed Sip and View, offered guests a first-hand look at some of SPS’ prime listings from across the island. Viewings on display covered residential properties, development lands, commercial buildings and shopping complexes. SPS has a long history of sourcing and selling quality real estate, while offering an unblemished record of property management. 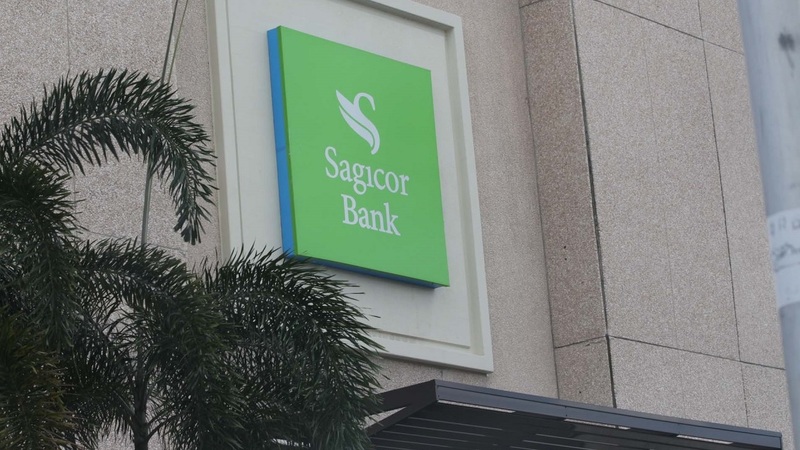 As a package deal, Sagicor Bank also announced its revamped mortgage product, which promises clients half the wait time for mortgage processing of 45 days or less, 7.5 percent interest rate and a three month moratorium on mortgage payments for new residential home owners. See more photos in the slider. 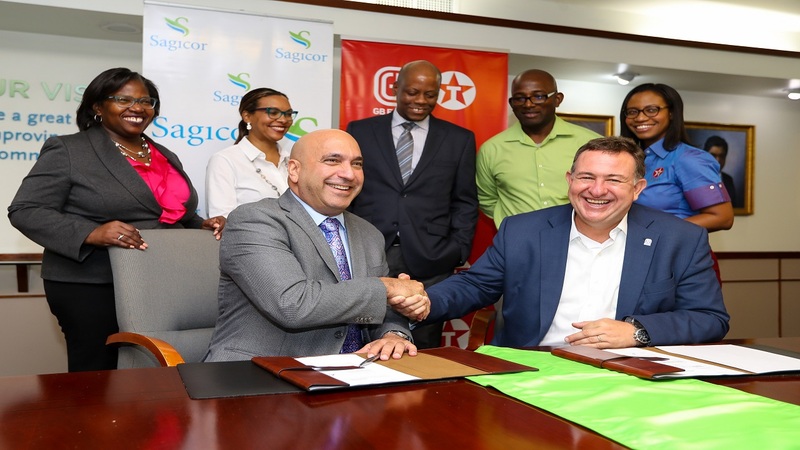 Christopher Zacca, President and CEO, Sagicor Group Jamaica, positioned the financial conglomerate as a business suited for supporting Jamaicans at all stages in life. 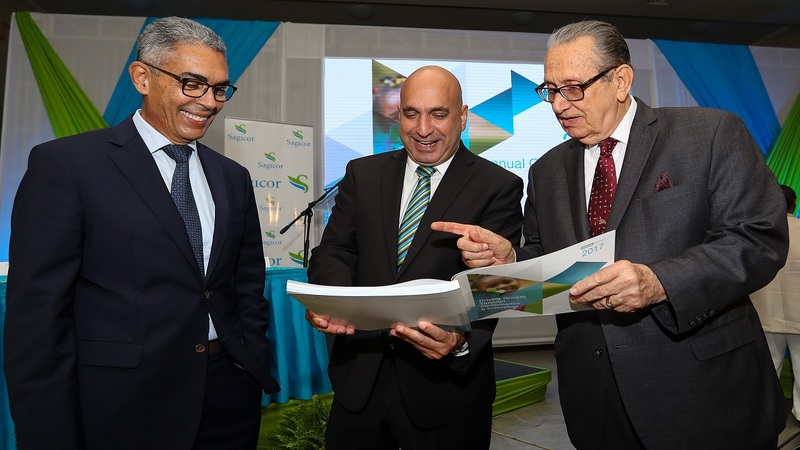 “At Sagicor, we have the capability to fully support you in acquiring the right real estate while helping you with financing,” he said. The CEO also announced the partnership between SPS and KLE Group in the sale of the Bessa properties located in Oracabessa, St Mary. The lifestyle themed villa community completes the north coast destination on eight acres of ocean and riverfront properties.